freetonik: I can't quite understand this because it only happens sometimes. iOS autocorrect often assumes that the correct word is a name of some sort. 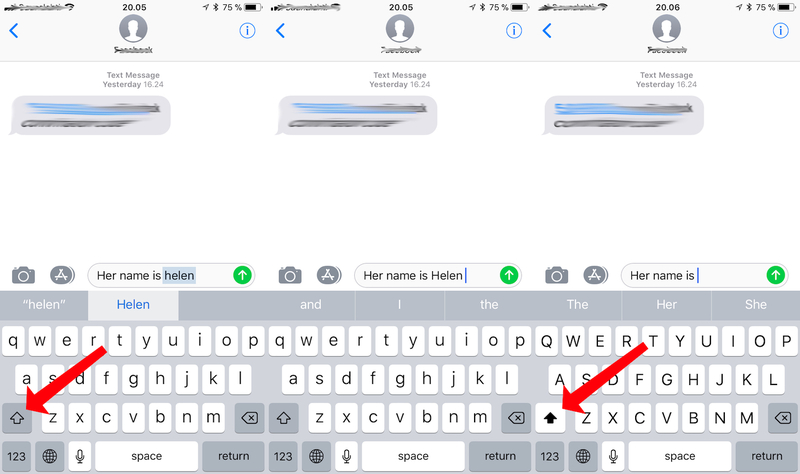 When I write "helen" and press space, iOS changes it to "Helen". I then immediately delete it, and once the cursor is placed at the initial position, the next letter I type is capitalized! The shift button is pressed by iOS. Why? I mean, I explicitly declined the suggestion — deleted the whole word. But the capitalization part of the suggestion remains, even if I then type a completely different word.